Admore Structures have built a reputation for excellence and innovation in Concrete Formwork over the past ten years; we are the Formwork Contractor of choice for many of the leading Construction Companies in Ireland. We provide our formwork solutions for most type of structures and geometry, our extensive experience and expertise include wall formwork, slab formwork, column formwork, climbing formwork, circular formwork, single-sided formwork, shell construction, lift shaft and stairwells, shoring, etc. 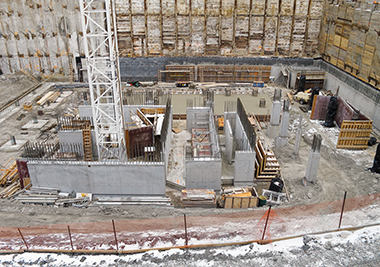 Formwork is the process of providing a temporary structure (shell) to freshly poured concrete, allowing it to cure until it can fully support itself. The PERI systems are the most labour efficient systems on the market today; they ensure maximum flexibility and the highest quality concrete finishes. 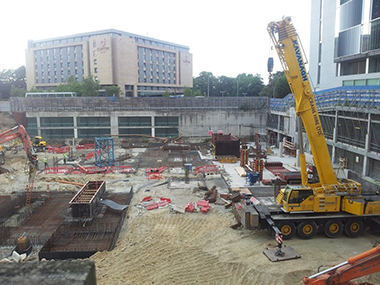 Using the PERI system, we can offer multiple Formwork solutions from a lightweight system for smaller building projects to heavy-duty systems for the construction of larger buildings. 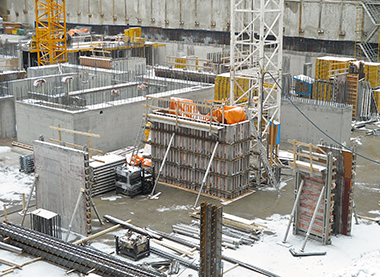 Admore provides formwork solutions for many complex formwork applications; we ensure the efficient and precise forming of all concrete structures. Please see our projects section for information on our latest Formwork projects. Contact our management team today to discuss your project. Admore is highly specialised in all aspects of formworks related services. We offer comprehensive skills and experience in reinforced concrete frame structures. We offer a diverse range concrete placement solutions to suit most projects. Specialised in all aspects of waterproofing & joint sealing services and solutions. We offer a diverse range of expert reinforcement solutions of the highest quality standards. 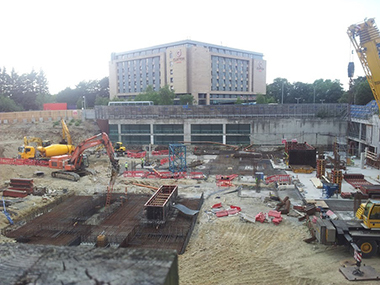 Specialists in all aspects of post tensioning & foundation reinforcement services. Specialists in reinforced concrete works, formwork, steel reinforcement, concrete and waterproofing.